A recurve bow has tips that curve away from the archer when the bow is unstrung. When strung a recurve stores more energy than an equivalent straight limbed bow and therefore offers more thrust to project the arrow through the air to the target. The riser on the modern bow could also be called the handle. It is the central component of the bow placed between the limbs, and it is where all other major components attach, it is usually constructed out of machined aluminum and/or carbon fiber. A riser grip or handle is the part of the riser that you hold while shooting.The grip is often designed for comfort and to match the hand of the archer. The riser grips are often replaceable with after-market ones. Limbs are the flexible planks made of wood, fiberglass and/or carbon fiber that are attached, one on either end of the riser. They work to store and release the kinetic energy needed to propel the arrow through the air. Limbs are measured in pounds of pressure generated by the stiffness of the limbs at usually at draw length of 24 inches. Although, there are many different manufactured ways to attach limbs to risers the most common standard is International Limb Fittings (ILF) that allows limbs and risers from different manufacturers to work together. Therefore, manufacturers make sure upper and lower limbs are distinguishable so they are install on the riser consistently. A sight is a device that attaches to the riser to assist the archer by providing an adjustable pin that is used to make more consistent shots. A stabilizer system is designed to help absorb the vibration of the shot and reduce unneeded noise during the shot. A stabilizer system can consist of a long rod, short rods, an extension rod, additional weights and a v-bar; additionally, a dampener may be added to the end of each rod to further help absorb vibration or add additional weight as desired by the archer. A v-bar is a part of a stabilizer system used to attach the side short rods to the main long rod and gets its name from its shape. A clicker is a device attached to the riser to assist the archer in producing a dependable draw length and to ensure arrows and limbs generate the same force repeatedly. It is positioned to pass over the end of the arrows once the archer has reached the desired draw length and the name “clicker” comes from the noise produced as it passes over the end of the arrow. A plunger button (or pressure button or cushion) is a spring cushioned device that the arrows sits against while on the arrow rest. It is designed to fine tune the horizontal oscillation upon release of the arrow and assist the arrow to reach the center shot location easier. An arrow rest is a device attached to the riser, usually made of metal or plastic that the arrow rests upon while the archer draws the string back. A bowstring is the cord that attaches to both limb tips and transforms stored energy from the limbs into kinetic energy in the arrow. The serving is the cord tightly wrapped around the strands of bowstring to produce a single cord and produce a consistent area to attach the arrow to the bowstring via the arrow nock. An arrow is the projectile shot from the bow at the desired target and consists of a spine, a point, a nock, and three fletchings. They are usually made of aluminum and/or carbon fiber, although carbon fiber is a popular choice because of its straightness, weight and durability. Fletchings are the feathers or plastic vanes glued around the end of an arrow, usually done in three. The fletchings are used to help the arrow spin and correct the arrow’s flight so consistent shots can be achieved. A nock is the two-pronged end of an arrow enabling the arrow to be attached to the bowstring. Usually made of plastic, it is a single unit either inserted into the end of an arrow or attached to the arrow using a aluminum nock pin. Target arrow points, sometimes called field points, are dull metal ends that provide weight to the front end of the arrow to help the arrow fly through the air. A bow sling is a strap that is usually made of cloth or leather and attached to the riser below the grip. The bow sling usually wraps around the archer’s wrist to provide additional security to stop the bow from falling out of the archer’s hand after the arrow is released. A container usually made of leather, plastic, cloth or synthetics to hold the archers collection of remaining arrows while shooting and it is usually worn either on an archer’s back hip or over their shoulder. An armguard is usually made of either leather or plastic, and it is secured with adjustable straps to the archer’s bow-arm. It provides protection from the bowstring as it releases stored energy through the arrow. Usually made of leather it provides protection for an archer’s fingers while pulling the bowstring and additionally provides a smoother surface for release of the bowstring. Keeps the clothing the archer is wearing from effecting the string while shooting and reduces string interference. Securely holds the archers bow between shots or while they retrieve arrows from the target. Isn’t it time to allow compound bows in international compatition? you have a modern riser, modern string, modern sights,and modern stabilisers. It’s not a stik with a string any more. Just go all out and move the target back or make it smaller. I understand it requires more streingh to use a recurve but we’re not weightlifters we’re marksman. Shooting is a skill, I agree, and they do have “other” shooting sports such as pistol. I personally think they could and should add it to the Olympics, however first we need to get it on TV. Once there is a larger TV audience in North America, it will be added as a main event. To further my comments, the Olympics are the only international competition that compound bows are not represented. In fact a very good friend on mine, Chris Perkins, just became the World Champion in Male Compound Archery. 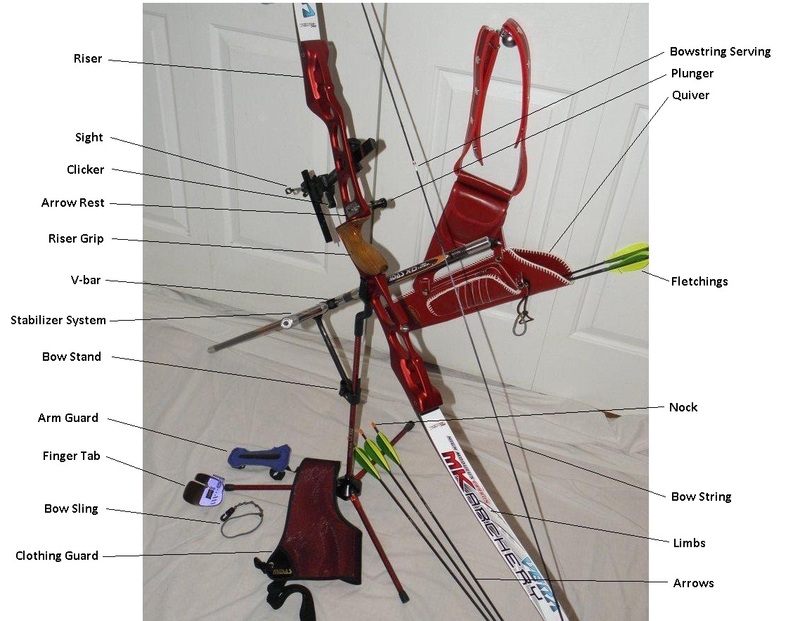 I like Your Article about Anatomy of an Olympic Recurve Bow Jordan Sequillion Perfect just what I was looking for! . An gripping communication is couturier report. I opine that you should write more on this topic, it mightiness not be a preconception topic but mostly people are not enough to talk on much topics. To the next. Cheers like your Anatomy of an Olympic Recurve Bow Jordan Sequillion. An intriguing word is designer notice. I judge that you should pen statesman on this matter, it strength not be a sacred substance but mostly group are not sufficiency to utter on much topics. To the succeeding. Cheers like your Anatomy of an Olympic Recurve Bow Jordan Sequillion. For the above poster, is it possible to more clearly describe whatever you mean? I would like to point out that inside the feeling you have indicated your self, it could be a little hard to understand for other people. Many thanks! Thanks for your suggestion… Please visit again, I have setup the RSS Feed. An stimulating language is couturier remark. I cerebrate that you should make solon on this substance, it strength not be a prejudice subject but mostly fill are not sufficiency to talk on specified topics. To the next. Cheers like your Anatomy of an Olympic Recurve Bow Jordan Sequillion. Aw, this was a really nice post. In thought I would like to put in writing like this additionally – taking time and actual effort to make a very good article… but what can I say… I procrastinate alot and in no way seem to get one thing done. Good web site! I really love how it is simple on my eyes and the data are well written. I am wondering how I could be notified whenever a new post has been made. I have subscribed to your RSS feed which must do the trick! Have a great day! “A rut is a grave with the ends knocked out.” by Laurence J. Peter. This was a in fact actually advantageous publish. In theory I’d wish to publish like this also getting time and actual effort to make a terrific piece of writing… but what can I say… I procrastinate alot and by no means seem to acquire one thing performed. Thank you for your whole hard work on this blog. My daughter loves getting into research and it’s easy to see why. Most of us notice all about the powerful way you give very useful guidance on your website and as well as invigorate participation from other people on this matter then my child is without question learning a whole lot. Take pleasure in the remaining portion of the year. You’re conducting a remarkable job. Are bows required to have all of those attachments to compete in the olympics, or are you allowed to compete with just the bow and none of the attachments? Like the sight, stabilizer, stand, etc. You are allowed to compete with just a bow and none of the attachments; recurve bow only. Since the Olympics can be decided by millimeters use of the attachments help a lot. Could you do an anatomy of a sight and show what each knob does? I recently got my first sight and while I’m still adjusting to it, I don’t know if it has the capability to move left and right. I have a Cartel X-pert sight. Sure, that’s a great idea… I will prepare one shortly. Awesome. I will have to remember this post. I am wanting to get an Olympic Style bow. I think going to the Olympics would be awesome. I like that first image with the diagram. Did you make that yourself? I have enjoyed your blog immensely! I have been shooting Oly. Recurve for about a year now and am using the same clicker as you (extra long arrows for tuning)…I am wondering what it is that you have on your clicker where your arrows contact the rod? This is a nice post ! I have read this post and see that you are a very gracious person. We are also same in this business.We provide service of best recurve bow, best recurve bow guide, beginner recurve bow, best recurve bow brands etc.